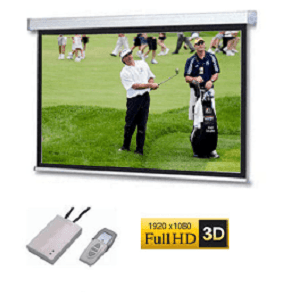 SG Professional Electric Screen A Series 126" - Wide 16:9 format. Screen surface (viewable area including 5cm border) area is 280cms by 158cms. Overall width of screen including housing with motor is 295cms.